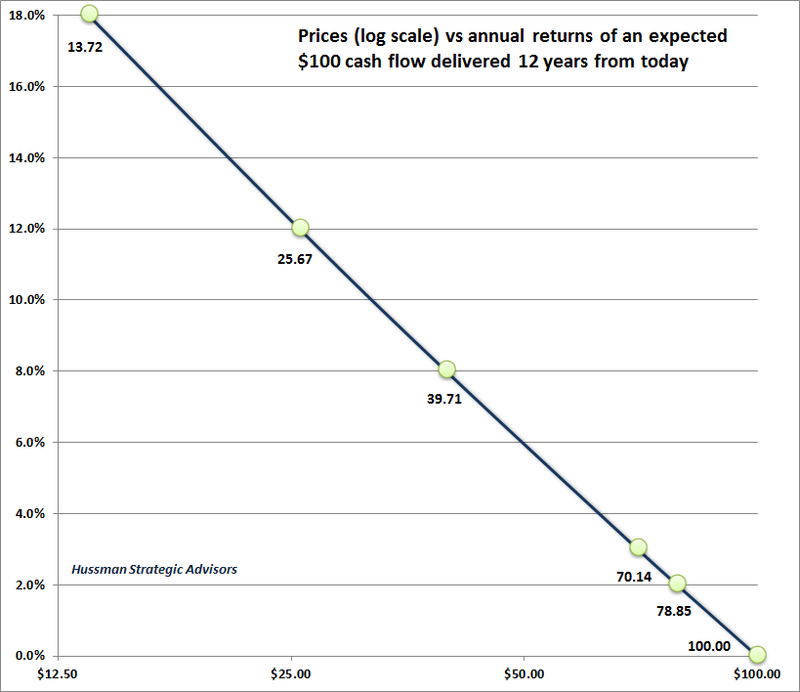 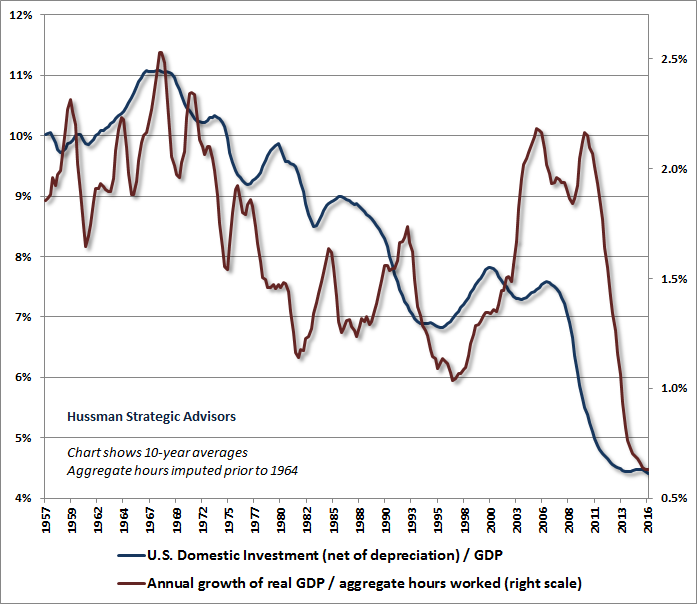 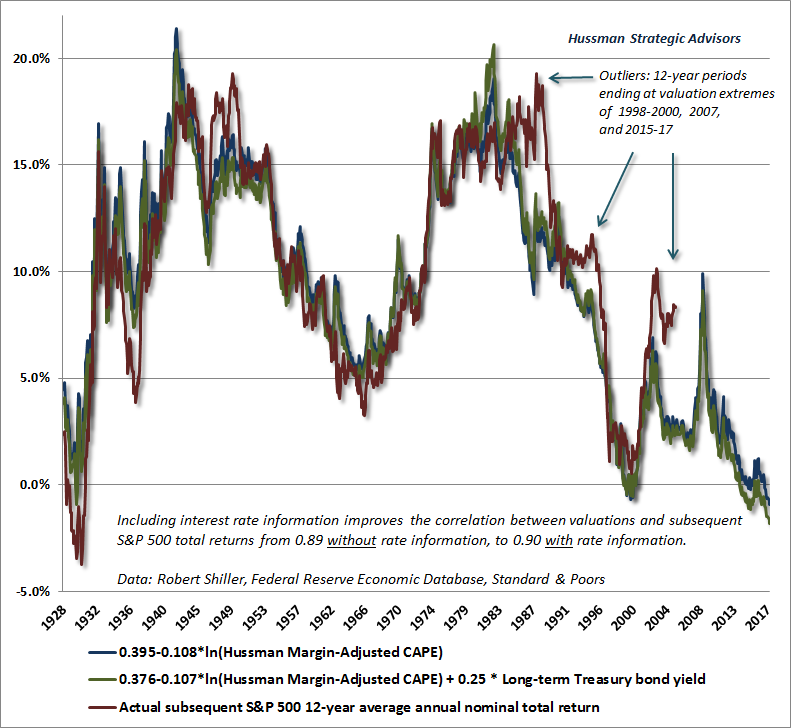 "Valuations make sense with interest rates where they are." 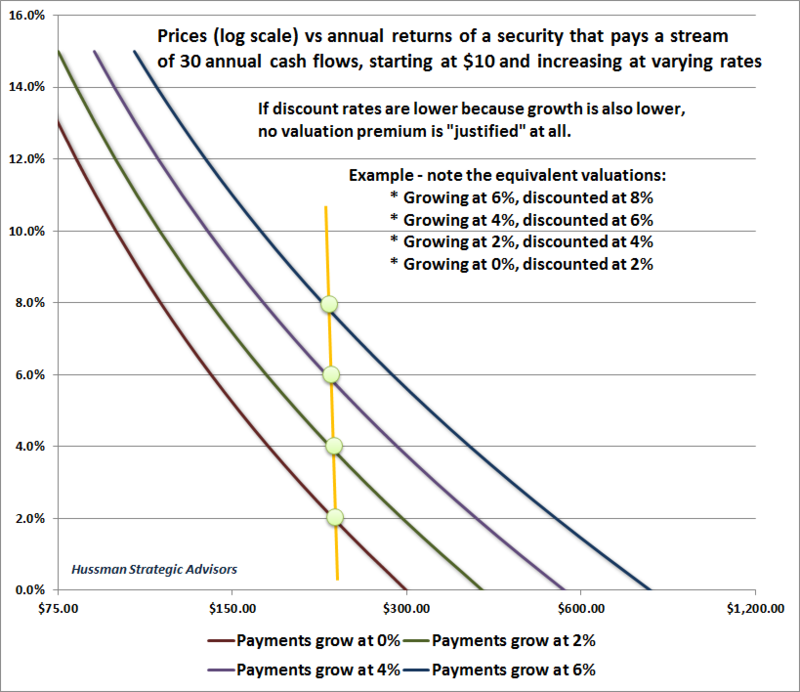 Why wouldn't they - Buffett knows all, right? 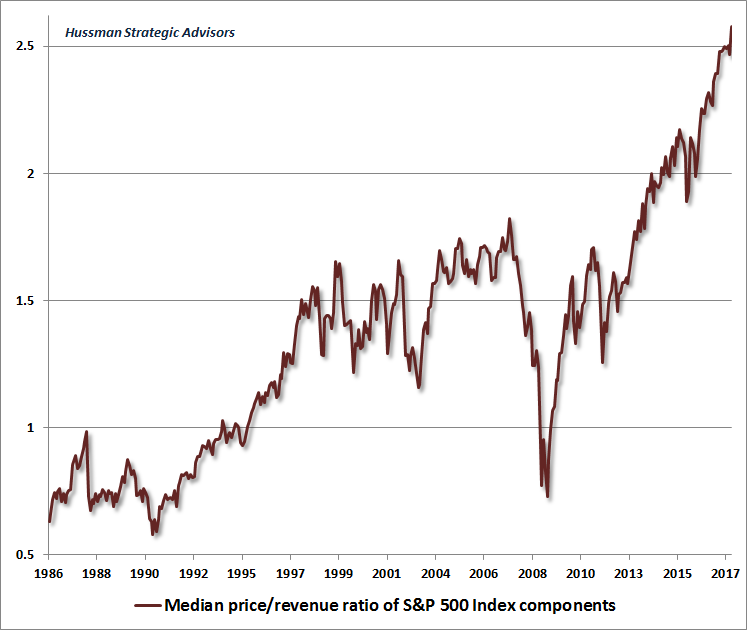 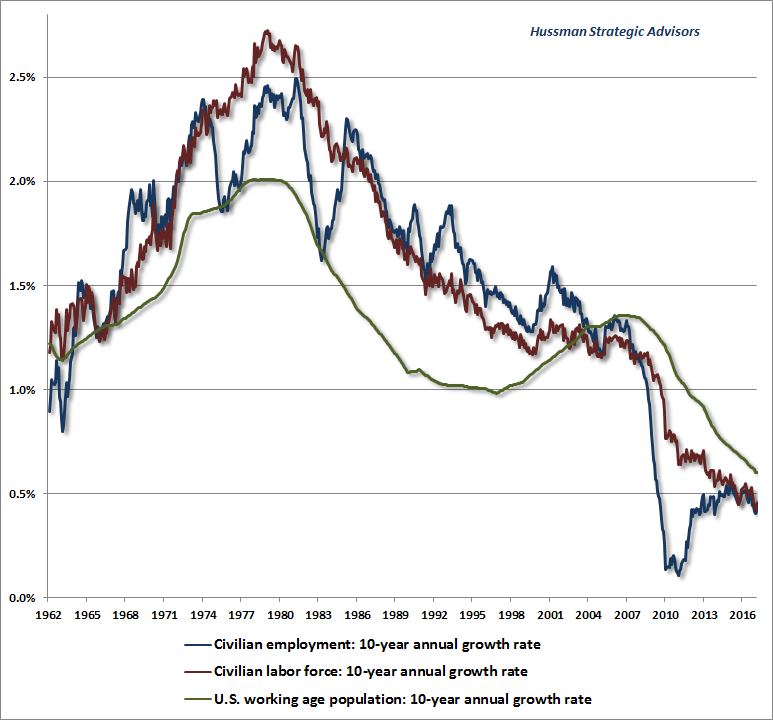 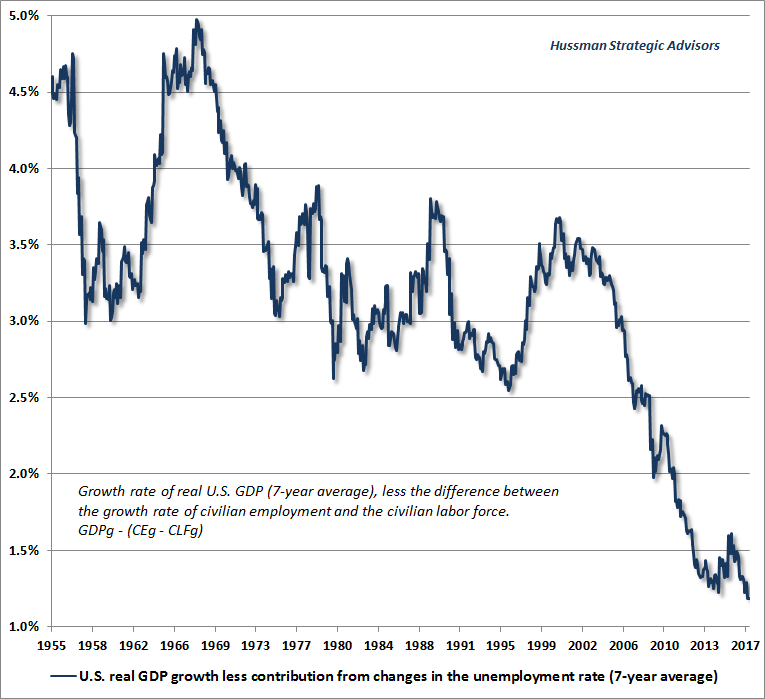 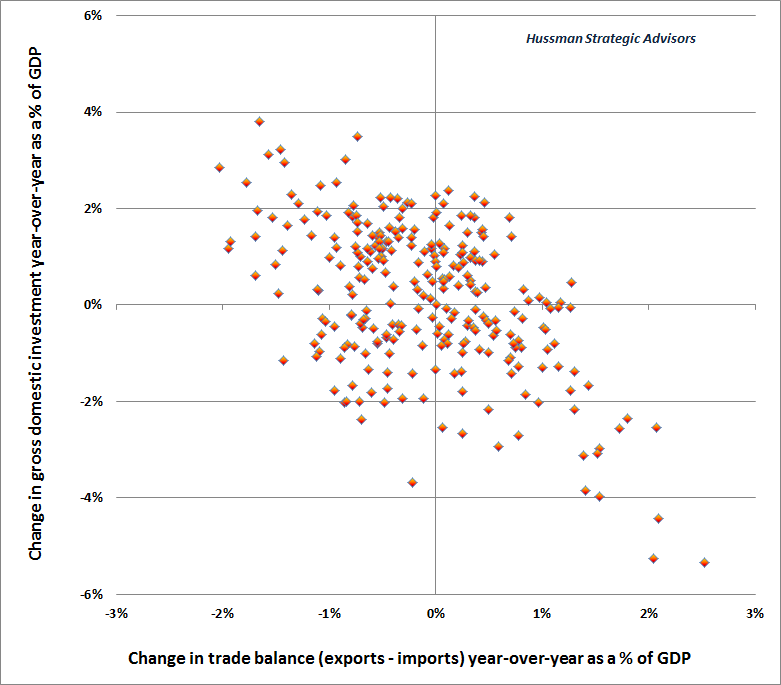 The following charts will provide a sense of where the U.S. equity market currently stands. 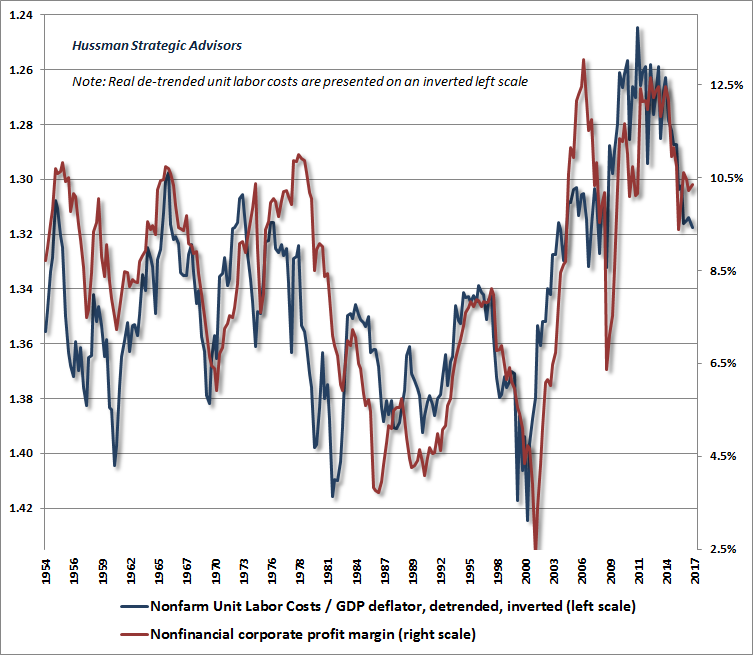 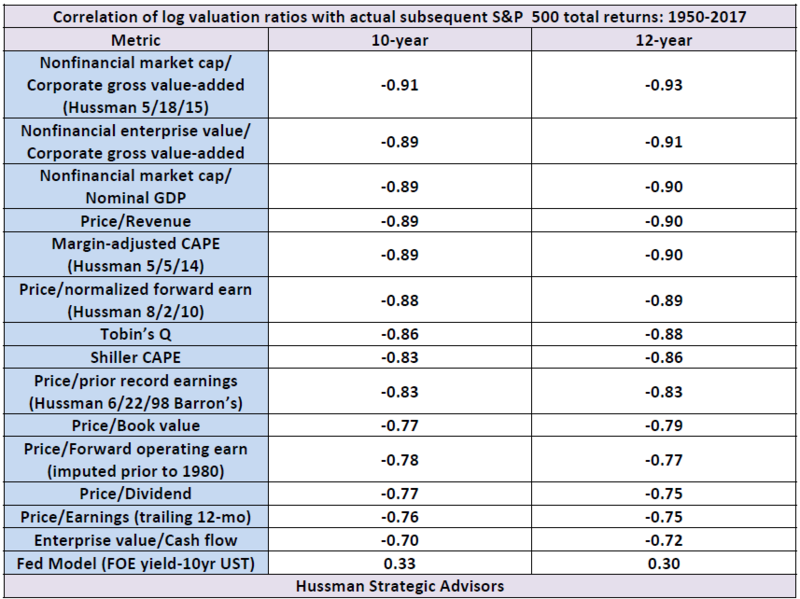 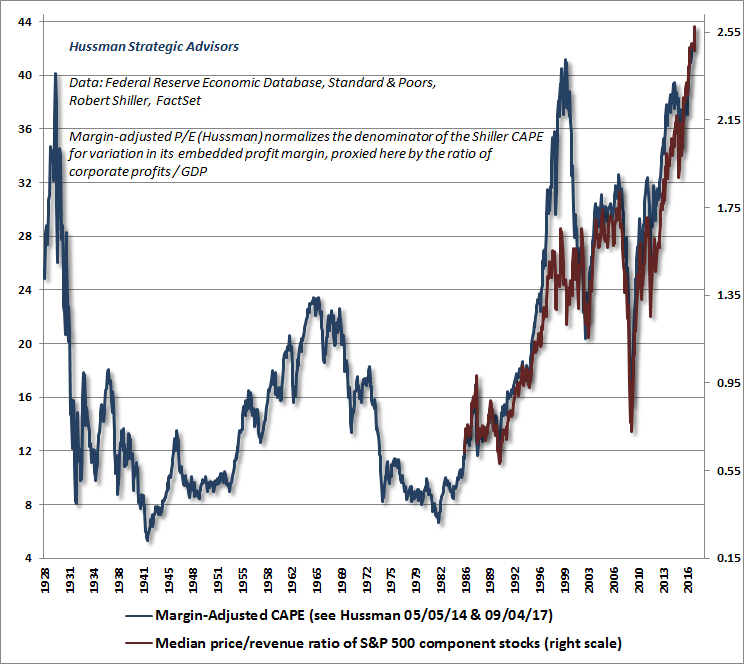 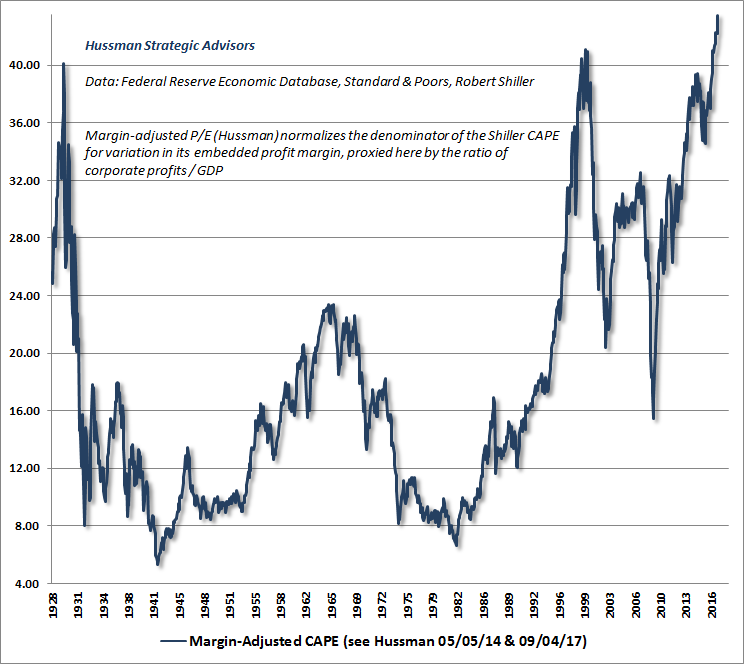 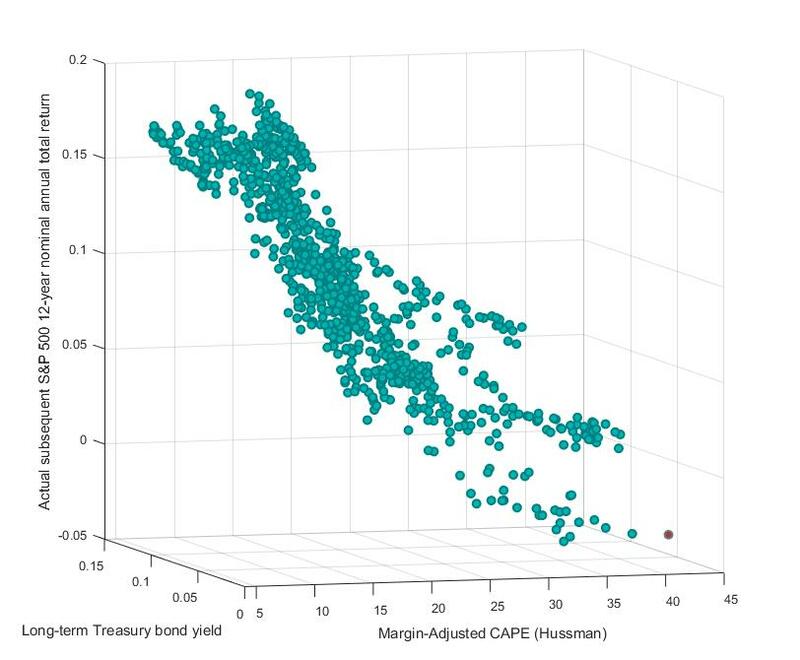 The first chart shows our margin-adjusted CAPE, which as noted above has a correlation of about -0.89 with actual subsequent market returns across U.S. market cycles since the 1920’s.